4 Corner Games has (sort of) revealed their upcoming Wii U and other platform game, Monochrono. The 2017 game will be a twin-stick shooter, where the player can manipulate time to take out the hundreds of enemies they face. The E3 trailer, which you can watch below, doesn’t actually show too much about the game, save for the screenshot seen above. It does, however, give a few teases about the game’s content. 4 Corner Games provides more details about the game in the video’s description. When players play Monochrono upon its 2017 release, they will find themselves presented with many options and gameplay modes, including a fully fleshed out story campaign, an endless survival mode, a challenge mode with a stricter mission structure that sees players attempting to clear a challenge while completing three distinctly designed challenges, a local multiplayer mode, and many more unannounced features, modes, and unlockables. The announcement of the title is just the beginning. Fans can stay tuned to 4cornergames.com, as well as follow @4CornerGames and @Monochrono on Twitter to stay in touch about the game’s development, including frequent developer blogs, screenshots, updates, and more. Direct gameplay footage as well as more feature announcements will be coming within the upcoming weeks, and those interested in the title will not want to miss it! 4 Corner Games has shared preliminary information about a new multiplatform project called “Monochrono”. Thus far, the indie developer has only confirmed that it’s “a time-based black and white shooter”. The game is due out sometime in late 2015 or early 2016 on Wii U and other systems. …it's coming to Wii U, PC, PlayStation 4, PlayStation 3, PlayStation Vita, and one other console (you know which one). 4 Corner Games previously made I’ve Got to Run! for Wii U and 3DS. That title hit the eShop last year. 4 Corner Games has announced that I’ve Got to Run: Complete Edition! will be available next week in North America. The game is slated for November 13 with a $4.99 price point. Europe will be receiving I’ve Got to Run: Complete Edition! sometime in early December. I've Got to Run: Complete Edition! will launch in North America on November 13th, 2014 for $4.99, with six modes and six characters. I've Got to Run: Complete Edition! will launch in Europe in early December 2014 for a non-finalized price. I’ve Got to Run: Complete Edition will have at least two indie crossovers. Kubi from Bit Boy!! Arcade as well as Armillo (from the game of the same name) are confirmed as playable characters. In other news, I’ve Got to Run: Complete Edition is now finished and has been submitted to Nintendo of America. 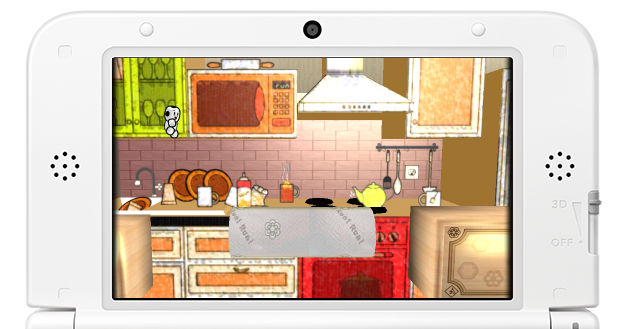 4 Corner Games have also come out and said that the game will have six modes, more camera angles (1 optimised for the smaller 3DS screen, one closer to the Wii U game) and a few extra secrets for players to discover. 4 Corner Games has shared a bunch of new information regarding “I’ve Got to Run!”. We have news pertaining to additional DLC, patch, the European release, and a newly revealed 3DS version. Developer 4 Corner Games has also announced a new project “MMM”. 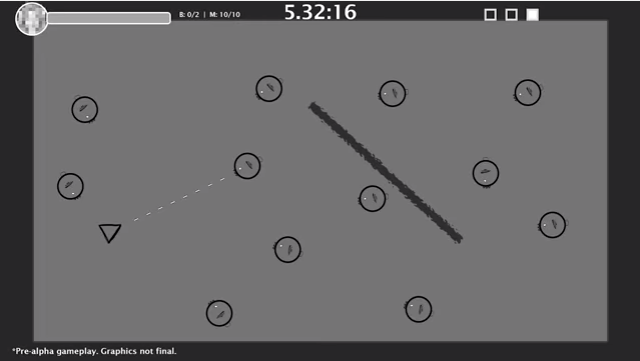 Endless Flip has you running right to left – incredibly hard! Endless Flight gives you a ton of jumps, but obstacles fly at you. Dodge the obstacles, strategize about when to touch down on the moving platforms. 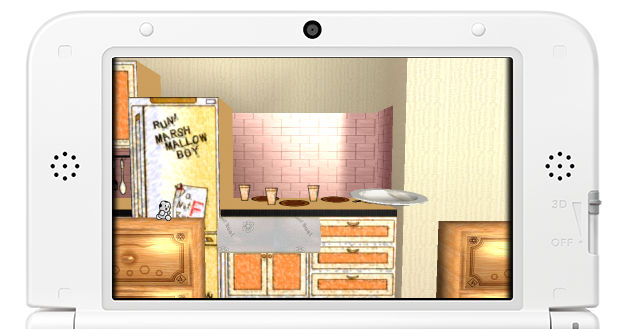 The Nintendo 3DS version will contain an exclusive mode, as will the unannounced version (not the same mode). I hope you’re having fun playing I’ve Got to Run! I can tell you that as the developer, it’s awesome to watch players posting high scores and competing. The game was designed with this in mind, and it’s really exciting! I would like to take this opportunity to let you guys know what is currently in the update that I’m developing for I’ve Got to Run! Please note, however, that the patch is not done, and could take some time to come out. BUG FIX: When a player hasn’t played a mode yet, it no longer shows “NaN” with a star. It will now read 0 with no star, as intended. Ability to use buttons in the menu.